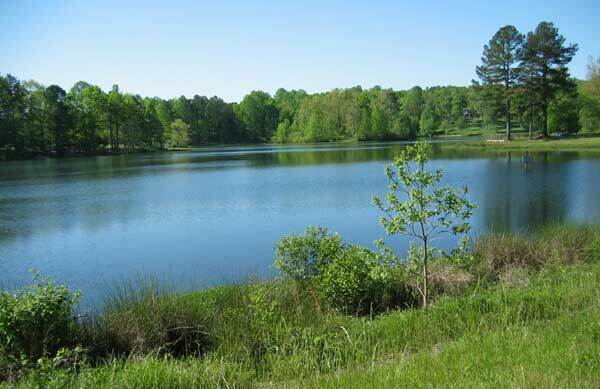 We live in a subdivision named Pine Lake on the outskirts of the small town of Arab, Alabama. The pictured view of Pine Lake is from the end of the lake opposite our house. This site is designed for use by Jack and Barbara Phillips plus family and friends. However, some content may be of interest to others. There are many links to frequently used web sites, which makes for easy reference from any location. The following list of main pages should help with navigation of this site. Once you've looked around these pages we hope it becomes more intuitive and makes some organizational sense. The main categories are shown by the links at the top of this page. Pages within the main categories are denoted by the drop down menus on some links. All main categories have several pages. Has many pictures of kids, grand kids, parents and siblings along with some related information. Takes you to a blog page that lists some family events. This category gives details about how we live. Sub pages: Health, Spiritual, Simple Living, and Finances. We each have a section devoted to our thoughts and pursuits. This one covers some philosophy and ideals. Sub pages: Favorites, Computers, Military, Music, and Treasure Hunting. Presents Barbara's views and a few of her favorites. Sub pages: Cooking, Canning, Gardening, Fishing, Poetry, and her Biography.